HIGH QUALITY --- Made from Cow Split Leather; smooth silver-tone zipper; sturdy streamlined stitching. Designed to fit into your small crossbody purse. 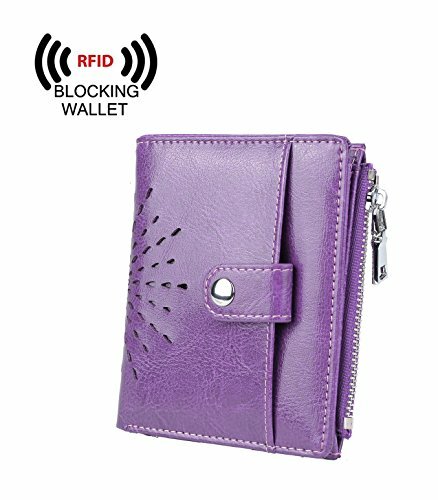 LARGE CAPACITY --- 7 card slots including 2 photo slots; 1 coin pocket; 1 bill section. It stays closed when stuffed. EASY ACCESS -- Bifold style and small size is designed for you to keep your wallet slim and get easy access to the cards you need. Stay organized anytime! DIMENSIONS: 4.40" x 0.78" x 3.74". This is a cute yet functional little wallet.